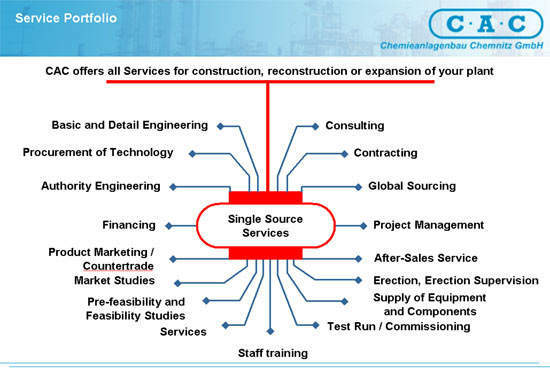 Chemnitz GmbH can offer you the experience we have gained over decades in plant construction, specialising in chemical engineering. 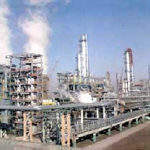 Our list of products embraces all the stages of the design, construction and commissioning of complex plants for chemical and related industries. We find intelligent solutions, ranging from project development to commissioning, from consulting to process optimisation of existing plants. Innovative simulation and presentation tools give you an idea of your project at very early planning stages, which provides transparency and makes decision making easier. Whether you use our competence in selected stages or part-projects, or involve us in the whole project through to the commissioning, it’s up to you. What is certain is that our competence is available to you at all stages of your project. 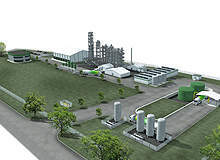 Chemieanlagenbau Chemnitz GmbH has a high level of know-how in process engineering, which is essential for optimum plant design in terms of processes and economy. Thanks to the great variety of projects already carried out, our staff is highly qualified and experienced personnel who use tried and tested procedures from all fields of technology. 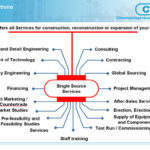 We cover the following business fields. Most chemicals are indispensable starting materials for the cost-efficient and environmentally friendly production of all the products we need in everyday life. Though difficult to handle, chlorine, is also an indispensable constituent. 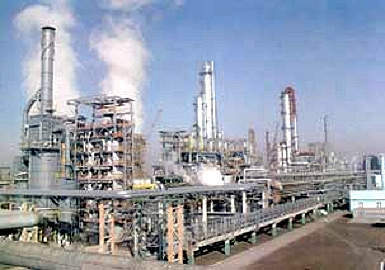 New ammonia and urea units were constructed at the Port Neal Nitrogen Complex in Iowa, US, operated by CF Industries Holdings. 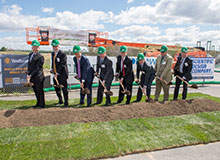 German chemicals manufacturer Wacker Chemie built a new polysilicon plant in the state of Tennessee, US. 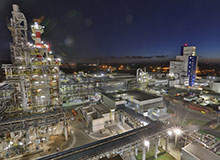 BASF Brazil inaugurated its world-scale integrated production complex for acrylic acid, butyl acrylate and superabsorbent polymers (SAP) in Camacari, Bahia, Brazil, in June 2015. 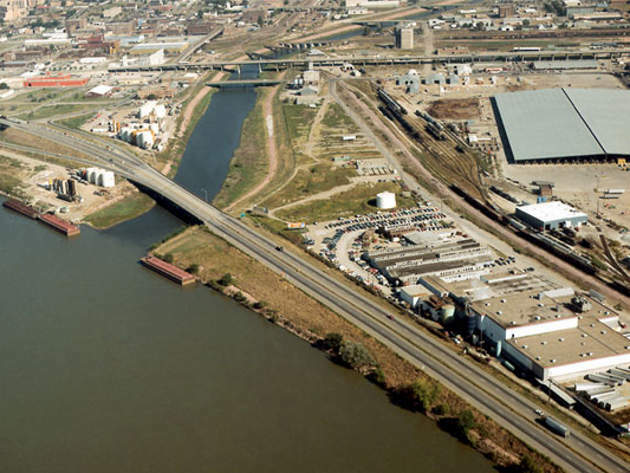 On 04 June 2014, Enerkem opened the world’s first commercial scale waste-to-biofuels plant in Edmonton, Alberta, Canada. 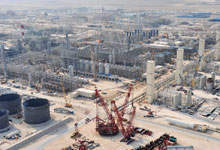 Under the development and production sharing agreement with the government of the state of Qatar, the fully integrated Pearl gas-to-liquids (GTL) project was developed in Ras Laffan, Qatar. 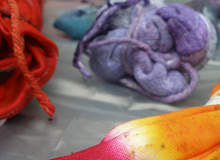 Please visit CAC at the Kioge exhibition from 7-10 October 2008 at pavilion 11, booth 1165.